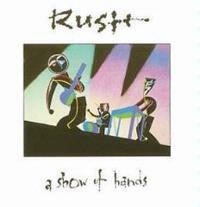 This live release continued Rush’ trend of four studio sets followed by a live album. It features music that’s from a period that isn’t my favorite from the band. That said, they did a great job of selecting some of the strongest material from that time. The result is a disc that’s strong, but a bit overproduced. In many ways this sounds more like a studio album than a live one. Still, there are some great musical moments here and it’s well worth having. As you might guess, this is the music that the band used to take the stage. It’s literally all Three Stooges all the time. They fire out into this hard rocker. It’s always been a high energy number and feels even more vital here. Geddy Lee’s bass seems to be on fire at times on this and we also get some killer guitar work from Alex Lifeson. Of course, Neal Peart is incredible as always. They extend this out a bit with some killer jamming at the end. Another fierce rocker from the band, this one is delivered with a similar sense of style and power, but perhaps the keyboards are a bit overwhelming. The general musical road map hasn’t changed a lot from the last couple cuts, but yet this still has its own identity. The bass and keyboards are the major driving factors on this one. It’s got some smoking guitar in the midst of, it, though. I like this a lot and this version is a real screamer. A track about the dawning of the nuclear age, this is a powerful piece, both lyrically and musically. I’d have to say that it’s one of my favorites of this set. While the keyboards are far more prominent than the guitar (and there are some really symphonic sounding sections on this live version) this thing is really awe-inspiring in terms of its musical textures. There’s always been a sort of empowering feeling to this track. I’d say that this live performance has a bit more of a guitar driven motif than the studio rendition. Of course, I haven’t listened to them back to back. The track seems a little too redundant, though – not really having enough change and alteration to warrant the length. That makes this part of the disc drag a bit. There is a cool instrumental section in this, though – and we get some scorching guitar in its midst – along with one heck of a showing from Peart. This is a great harder edged Rush track. This live recording is quite strong. In fact, I’d say that I like this one even better than the studio release. With a title like that you’d expect this to feature a lot of Peart’s percussion and it does. It’s a very potent and powerful piece of music beyond that, though. The keyboard elements are probably the other key driving force here. Yet, this number works better than some of the rest of Rush’s more keyboard dominated work. There’s a dark and mysterious tone to this hard rocker. It has a powerful musical motif and more guitar than a lot of the other music on show here. I’ve always liked this one a lot and it works very well in this set. There’s some great guitar work later in this number. Here we get a full on Neal Peart drum solo. I’m not a huge fan of drum solos, but Peart’s are certainly better than most. He pounds away at the skins and just about everything else you can imagine in this imaginative outing. There’s a killer big band sounding electronic percussion section on this. Starting with an extension of the drum solo, this is frantic jam that’s got a great balance between guitar and keyboard dominated sections. It’s another highlight of this CD. This is a good track and they create a solid live rendition, but it just doesn’t really stand up to the rest of the cut. The extra vocal line that’s done as a midi trigger takes a bit away from the credibility of the live performance, too. If there’s a “miss” on this disc, this is it. Always reminding me a bit of “Red Barchetta,” this has apocalyptic lyrics and is a powerful piece of music. I’m not sure if this is about the holocaust or not, but it feels a bit like that. In any event, they put in a strong rendition of this track here, and it’s another that should please the guitar fans. This cut is the only older number to make the set. While this comes from my favorite Rush album (A Farewell to Kings), I think it’s a little overplayed. It would have been nice to get a less-expected piece. Still, this is a great jam and we get some of the most inspired showings from Lifeson on this. They include a smoking added instrumental segment late in the track to serve as the extended outro.